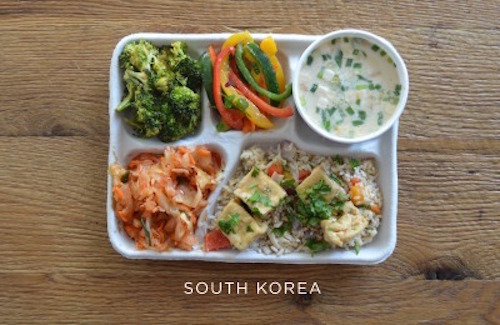 School Lunches Around the World: How Does America Compare? A picture is worth a thousand words. And the folks at sweetgreen know it. They posted pics of school lunches around the world. 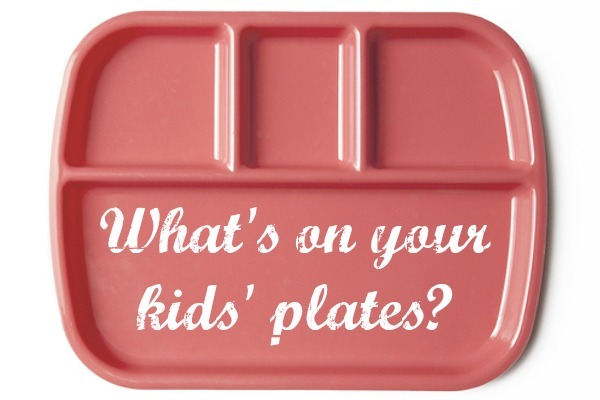 How do American school lunches compare? A picture is worth a thousand words. And the folks at sweetgreen (more on them later) know it. They posted pics of school lunches around the world, and I have to say: “Message received.” I’m so intrigued by this. 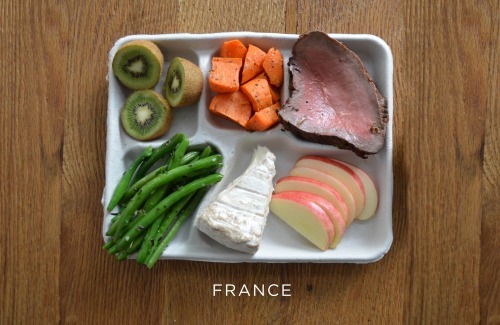 How do our school lunches compare with those in other countries? The school lunches I recall were made up of unhealthy foods I loved to eat — fish sticks, chicken nuggets, mac and cheese, burgers, fries. And while we’ve made efforts to improve school lunch nutrition in this country, could we take a bit of inspiration from other countries’ school lunches? 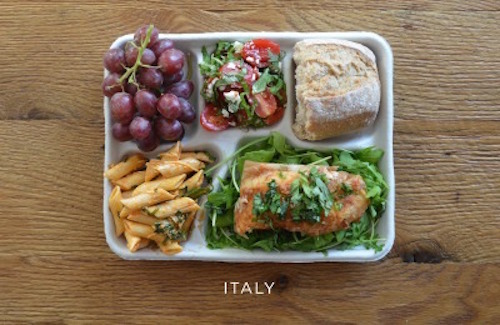 Here’s a school lunch in Italy — local fish on a bed of arugula, pasta with tomato sauce, caprese salad, baguette, and some grapes. Seriously. Local fish. 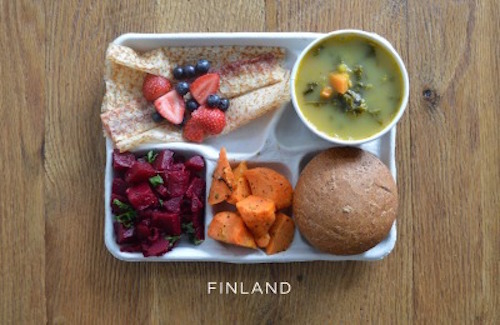 How about a cafeteria lunch in Finland? Pea soup, beet salad, carrot salad, bread, and pannakkau (a dessert pancake) with fresh berries. Fresh berries? Wow. And then there’s the student meal in France. Steak, carrots, green beans, cheese, and fresh fruit. Très magnifique! 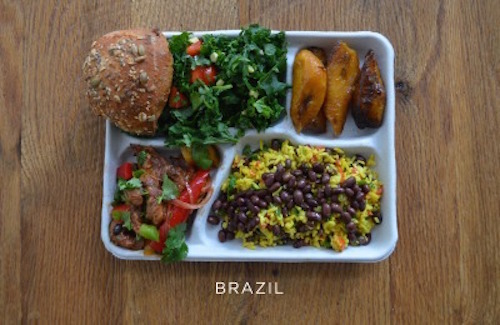 What are students eating in Brazil? Pork with mixed veggies, black beans and rice, salad, bread, and baked plantains. Sounds delicious, right? And in South Korea — fish soup, tofu over rice, kimchi, and fresh veggies. I’m not sure this would fly in America, but you never know. 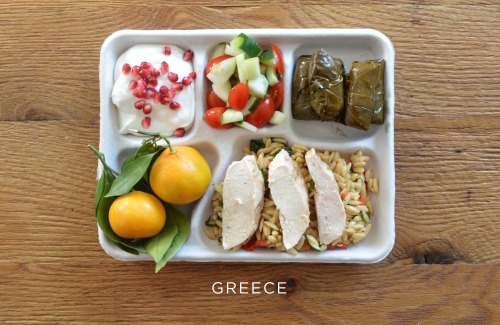 In Greece, they’re eating baked chicken over orzo, stuffed grape leaves, tomato and cucumber salad, fresh oranges, and greek yogurt with pomegranate seeds. Yum. 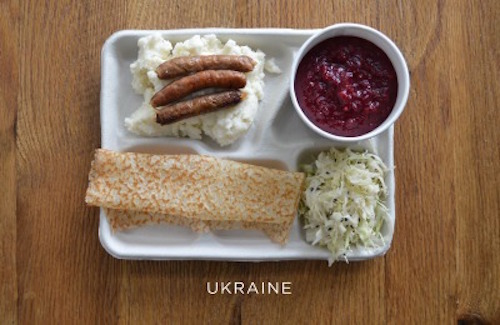 In Ukraine, they’re dining on mashed potatoes with sausage, borscht, cabbage, and syrniki (a dessert pancake). 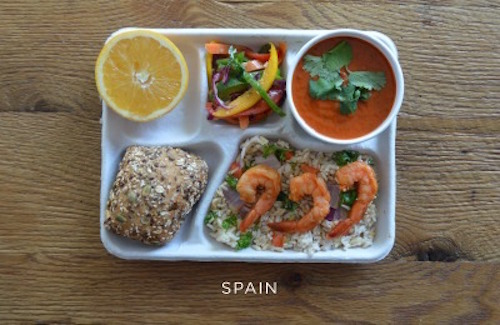 And in Spain — sautéed shrimp over brown rice and vegetables, gazpacho, fresh peppers, bread, and an orange. ¡Gracias! How does the typical American school lunch compare? Take a look. Yes, there’s some green on the plate. 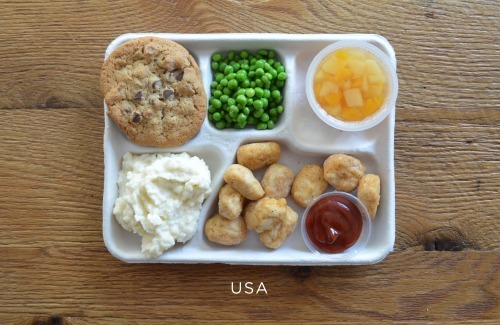 Other than that, it looks a lot like the school lunches of my childhood. Frozen food. High fructose corn syrup. Lots of sugar. Lots of sodium. 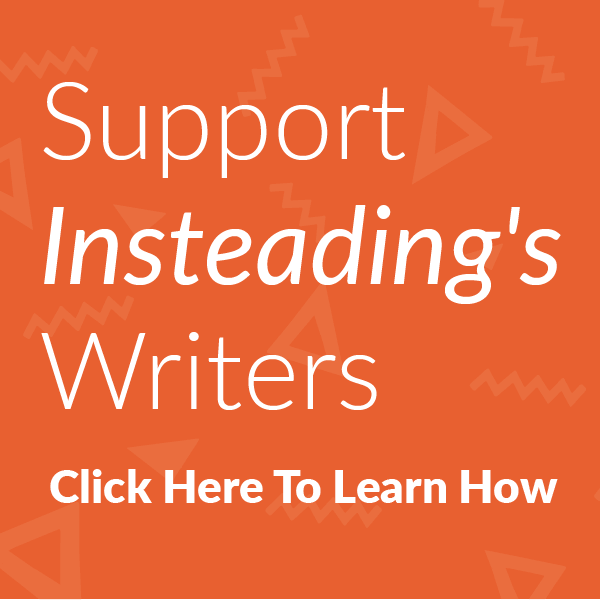 Nearly 100,000 schools and institutions serve school lunches to 30.3 million students each day, adding up to 5 billion lunches served each year. Most of these students consume more than half of their daily calories at school. Meanwhile, we’re dealing with a serious childhood obesity issue: The percentage of children aged 6 to 11 years in the United States who were obese increased from 7% in 1980 to nearly 18% in 2012, according to the Centers for Disease Control and Prevention. We’re an innovative, affluent country, filled with ideas, energy, and great resources. And as a country, we’re looking for ways to flip the script on school lunch nutrition, but how far have we really come? These pictures make me wonder. 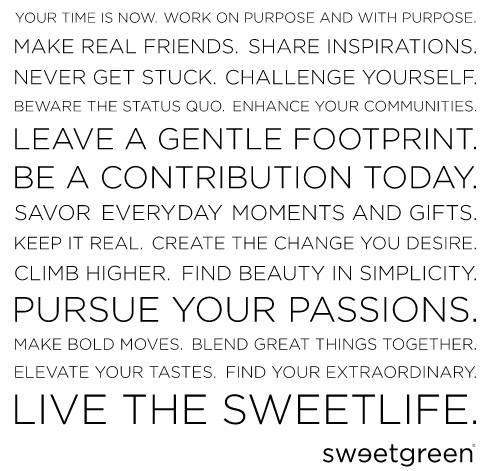 Founded in 2007, sweetgreen is a destination for delicious food thats both healthy for you and aligned with your values. We source local and organic ingredients from farmers we know and partners we trust, supporting our communities and creating meaningful relationships with those around us. We exist to create experiences where passion and purpose come together. The company values sustainability, community, and making an impact. Its blog is named Passion x Purpose. It has developed a program — sweetgreen in schools — to educate kids on healthy eating, fitness, and sustainability. And it has a powerful, inspirational manifesto that speaks to me. There are sweetgreen restaurants in the following states: DC, Massachusetts, Maryland, New York, Pennsylvania, and Virginia. And they’re coming soon to California. When they come to Dallas, I’ll be first in line. Do these pictures surprise you? Does the US lunch bring back memories for you as it does for me? Does eating pickles help with anxiety? Could Probiotics Help with the Terrible Twos?